The Province of South Cotabato now has three (3) legislative districts. 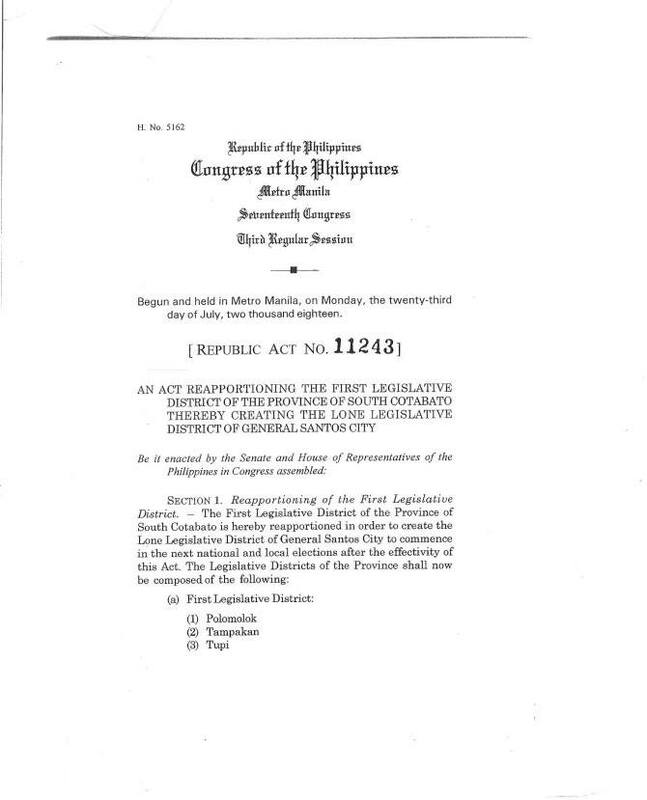 This is after President Rodrigo Duterte signed into law a bill reapportioning the province of South Cotabato and creating a lone legislative district for General Santos City. 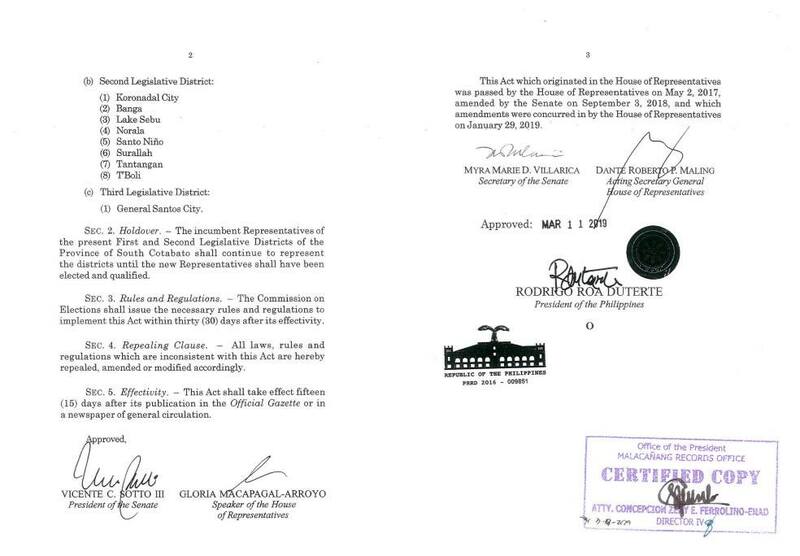 The signed law also states that " The incumbent representatives of the present First and Second Legislative District of South Cotabato shall continue to represent the districts until the new representatives have been duly elected and qualified". The Commission on Elections is also mandated by the law to “issue the necessary rules and regulations to implement this Act within thirty (30) days after its effectivity", Section 3 of Republic Act 11243 stated.